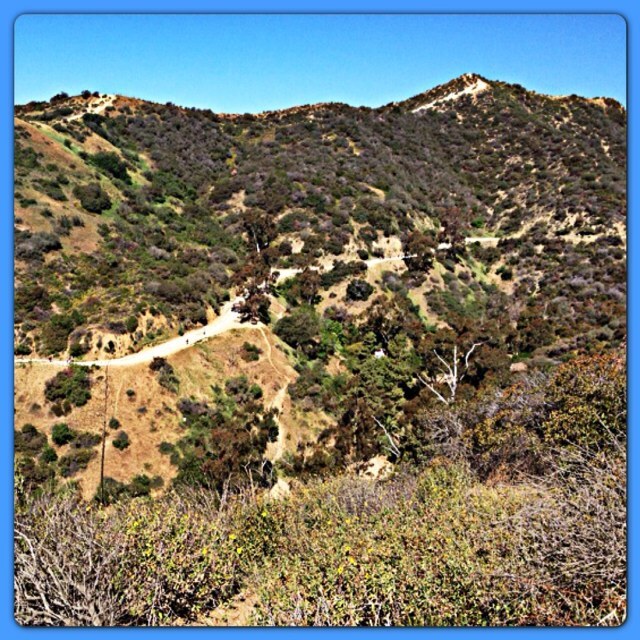 The main path at Runyon Canyon. 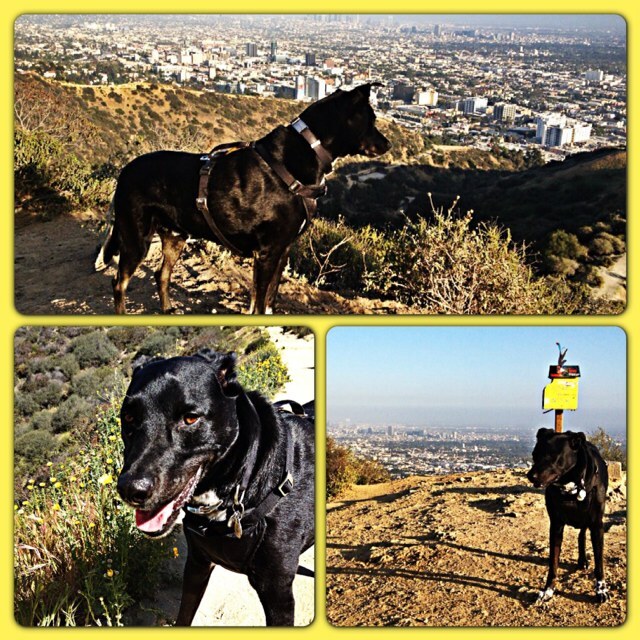 Riggins has been hiking Runyon Canyon (a dog park/mountain/hike in LA) since he was a puppy. Actually before he was really supposed to do it … shhhh. You try to raise a rambunctious puppy in an apartment on the third floor then you can judge me! There is no doubt that Riggins is one of the many dogs that feel like they own the mountain. He struts around like a King demanding the attention of his people. If you are leaning down, going slow, make eye contact, and/or breathing, Riggins will come up to you and lean in for a pet. If you are a child with food it may be considered hill tax and be taken. 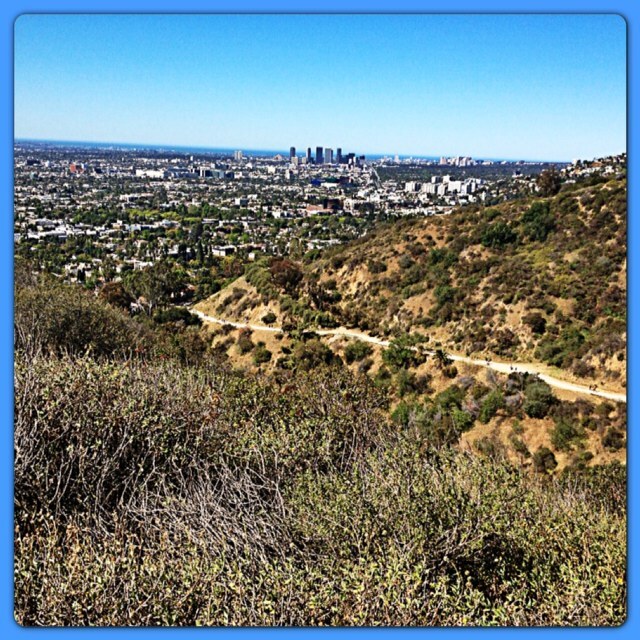 There are two different paths for each Runyon route. The regular and the dog only. The dog only paths weave their way in and out of bushes and around trees. Riggins likes to stick to these paths or start making his own. He is a trail blazer. This is why he gets the rattlesnake vaccine. Like any good ranger Riggins suggests/demands that all humans stay on the path. If you don’t Riggins will make sure you know that you have gone against park rules. His mistrust for those who are off path runs deep. A look at the Stairs from the top. Recently, near the bottom of the hill, an older woman was doing Tai Chi. That isn’t a problem BUT she was doing it off route past some bushes in a tiny clearing. Not on Riggins watch! He made his way up to her, got down into a crouch and started growling. No amount of calling on my end was going to break his concentration so I had to double back to grab him. By the time I got to him he had the woman cornered. She was NOT HAPPY about it. In fact, I would say she was scared speechless. I tried to tell her that he was scared of her because she was off path and he knew that was wrong. It wasn’t helping so I gave up and drug him away. It may seem heartless of me but come on … you are in a dog park. Perhaps you should Tai Chi in a neighboring canyon. There is plenty to go around. Riggins patrolling the top of the Spine. All this wouldn’t be that big of a deal but I have witnessed people being rescued by helicopter on that hill. That is time and effort of our fire/police AND taxpayer money. Recently two teenagers got lost in the mountains in Orange County, CA. They were found, luckily safe.There was a good amount of outrage from the community about how they were so irresponsible to have gotten themselves in that position in the first place. Last month a teenager died at Eaton Canyon (another local hiking spot) because she went off path. 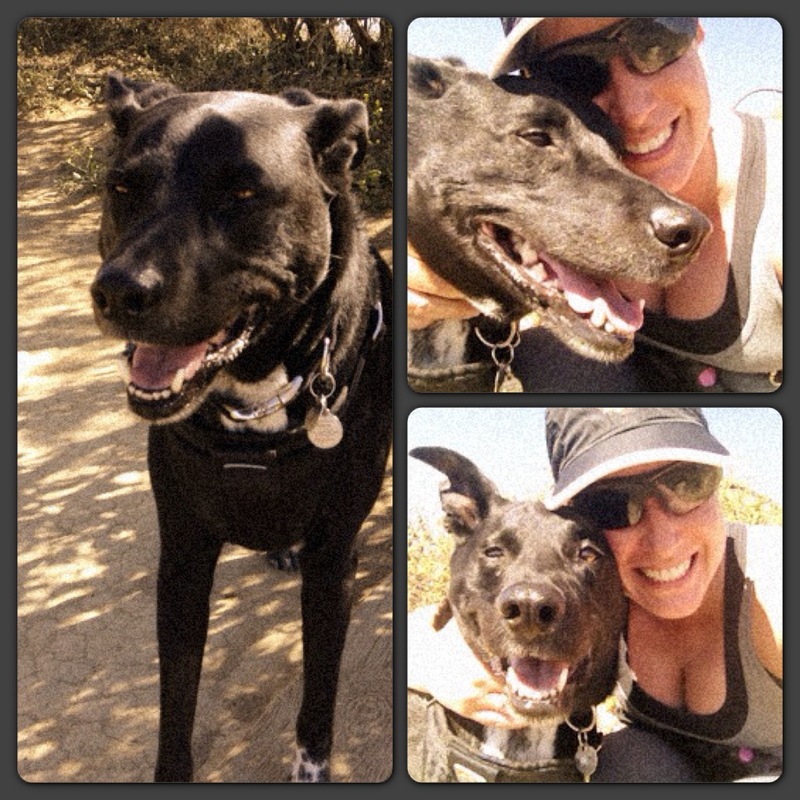 On a hike near Eaton Canyon I once didn’t take enough water and it caused a problem for Riggins. I swore that would never happen again and now carry way more water than I will need. Just in case. I’m not saying everyone who hike is irresponsible. Far from it. I’m saying, if you are going to go hiking don’t be a moron. Know some basic hiking rules AND FOLLOW THEM. I’m addicted to your Riggins stories!